Giggles wafted with the warm food smells as Sami passed the entrance to the kitchen, carrying a child’s new coat. His wife and three daughters stood at the old fold-up table preparing the Saturday evening meal to the rattle of plates that accented their patter and laughter while Sami prepared Aaron for an outing to the park. “Remember the bread, Samuel,” Leah called out to him, knowing he did not like her to use his birth name. That she was the only one who flaunted so brazenly his authority seized the muscles at the back of his neck, for even his parents submitted to his will to be called “Sami”. “The bread,” he repeated, angry at her for interrupting his struggle with Aaron, his youngest child and only son, who rebelled against the coat. 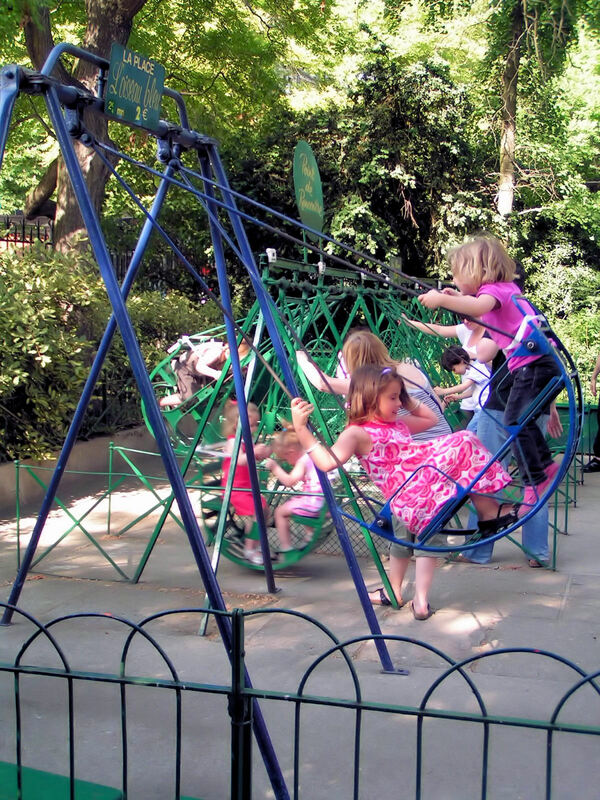 “I don’t want to go to the park,” Aaron whined at a pitch reserved for five-year-olds. “You can go outside with me or cook with the women,” Sami said. Aaron paused an instant before shouting, “I don’t want to wear this stupid coat.” When his father jabbed his arm into the sleeve, little Aaron began crying ferociously. Leah’s reminder about dinner time was nearly drowned out by the toddler’s wails. Sami did not notice the storm building behind him as he strutted across the public square to the park, dragging Aaron beside him. He did not see the sad sheen of mucous and tears that caked Aaron’s face but he did remark the bakery, telling himself he would buy the bread on his return. 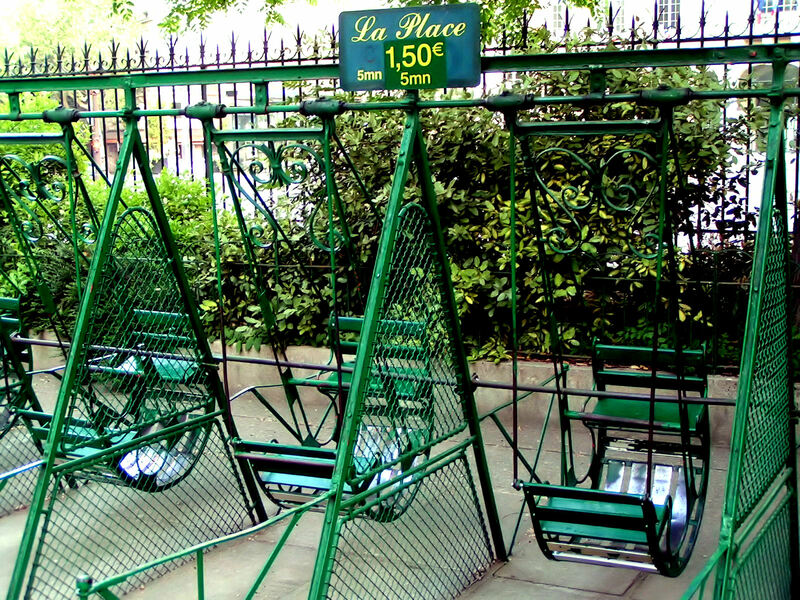 Pride filled the father as he passed through the gates to Paris’s Buttes Chaumont park. His chiselled arms glowed orange from the spray-on tan as they squeezed through the short sleeves of his counterfeit Dior t-shirt. Heavy rings gilded his fingers and the thick chain of plated gold bounced against his chest like a loose noose as he walked to the swing set. His friends, other fathers out getting afternoon air, greeted him with traditional reserve before the exchange evaporated into silence. 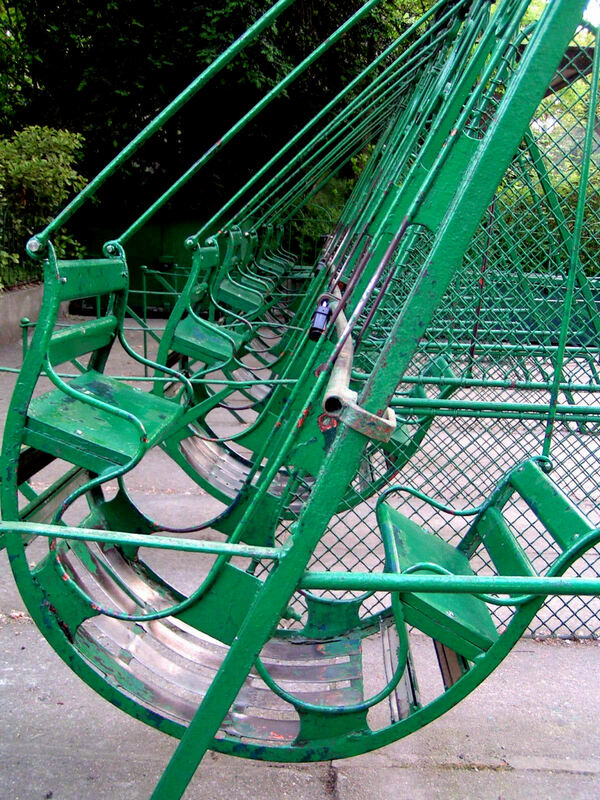 The Parc des Buttes Chaumont has many playgrounds and several sets of swings free to the public; but near the southern entrance to the park, behind a small wire fence, is a swing set that costs 1€50 for five minutes and L’Oiseau Bleu, The Blue Bird, which costs 2€ for a ride of 2 minutes. “I don’t want to,” the child whined. Sami lifted the boy easily and stepped over the fence to deposit the kicking infant in the seat of a green swing. He held the boy down with one hand as he counted out change with another. After paying for 5 minutes, he had just enough change to buy the bread Leah had requested. Pushing the swing, Sami knew the other fathers were jealous of him and his son. Aaron was a boy, first of all, and not all of his friends had been blessed with male offspring. Sami himself had had three girls before Aaron finally came along. And what a fine boy he was. He bore thick black curls, demonstrated a degree of intelligence by moments and soon his baby fat would turn into muscle. Yes, Sami had no doubt the other fathers regarded Aaron with envy. 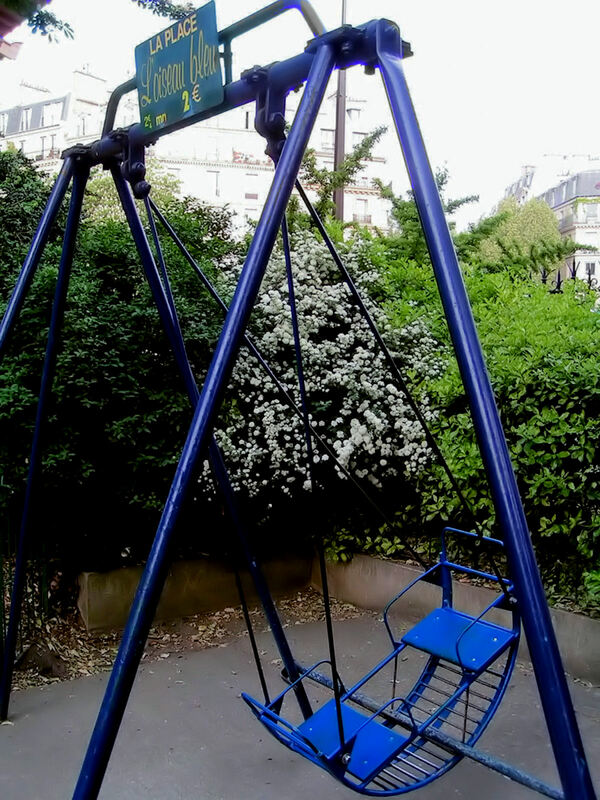 Desirous to prove to the others what a good father he was and aware the only way to quiet his son was to give in to the whim, he nodded and paid the 2€ while Aaron pushed past a girl his age to mount the swing. Aaron began protesting the end even before the time was up, but Sami reminded him that they were already late for dinner. After wishing goodbye to the other men, he led the crying boy out of the park. As Aaron complained he was cold, Sami passed the bakery without entering because, after having spent the last of his change on the second ride, he no longer had enough money for bread. Please check out my photo post of pictures I took of the Buttes Chaumont at dawn to prepare this piece. Thanks!